Live streaming is popular because people love to watch live events.Technology made it easy now to telecast the live events such as workshops, webinars, sports events etc.Live streaming is the process of broadcasting live videos that can be accessed by the audience over the internet.They can watch the live streaming on computers, tablets, laptops or smartphones. Various apps such as Periscope and Meerkat are available now for live streaming. Earning money with live video streaming is possible in many ways.Some of these ways are direct and some are indirect. Advertising for live streaming can be sold to sponsors.Other methods to earn money though live streaming is pay per view and subscription, crowd funding etc. Live streaming can bring revenue when the people are charged to watch it.The audience has to activate the broadcast only after making payment.Pay per View is a paywall setup using which the users can pay a fee and watch the live streaming.Another way to earn money through live streaming is to take subscriptions.The fee is collected from the viewers periodically and viewers will be allowed to watch broadcasts in that time period. 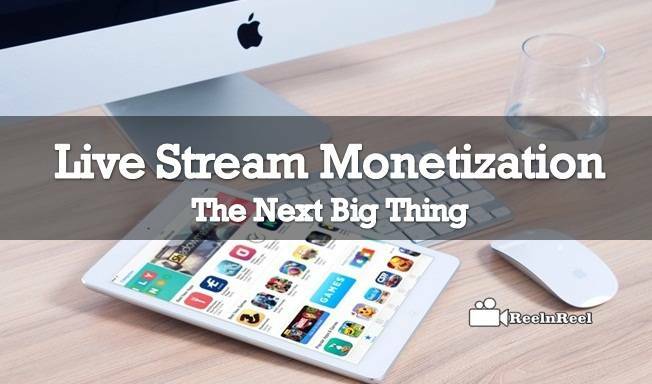 Another way to monetize live streaming is through advertising and sponsorship.Interested advertisers will buy the space to put their advertisement in the lower part f the video or before or after the broadcast.Another form of live streaming monetization is to drive traffic to another product page of the website using the live streaming. This can sometimes increase conversions and can generate revenue. Live streaming can help to reach out and create bonds with clients. Live streaming is not difficult and helps in customer engagement.Live streaming is easy and any person with minimal training can use this tool strategically to improve Google search ranks.Apart from all these live streaming is here to stay and creative thinking can help to generate revenue from this.